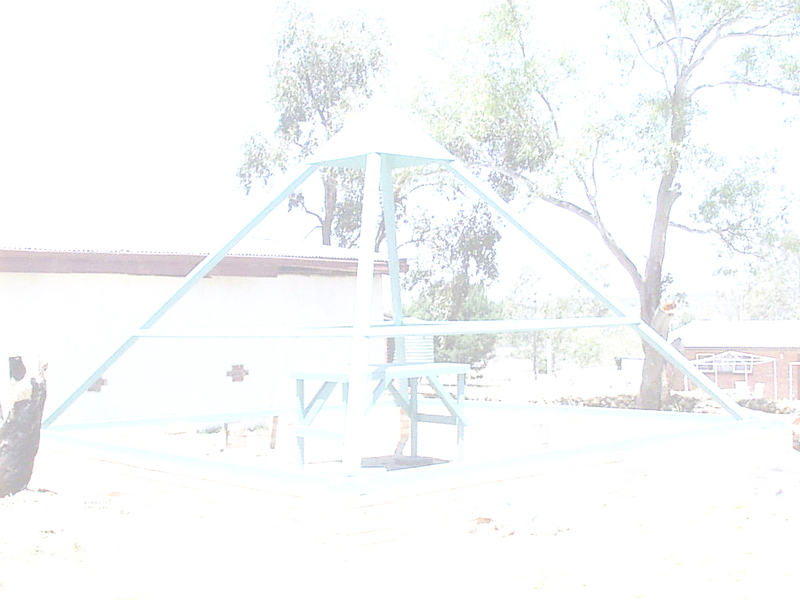 The building of the 'Pyramid Of Hutt', a 5.3 metre timber frame pyramid atop brick footings and containing a "healing table" has been completed. The construction of this Pyramid was commissioned by HRH Prince Leonard in September 2006 in his capacity as Founder and Trustee of the Royal College of Advanced Research to once more advance both the study and therefore knowledge of all matters Spiritual. Construction was carried out by Mr & Mrs Brad & Billie Wilkinson, a couple from the State of Queensland, Australia who are specialists and devotees in the field of Pyramids and Pyramid Energy . pertaining to the area of Pyramids and their energy thus the reason and the interest in carrying out further research into the subject matter. The Pyramid has been located alongside the arcade in Nain, rather than atop some remote hill, so as to allow easy access for tourists and visitors to the Principality, and great interest has been shown already both during the actual construction phase and since completion of the main structure. Further work is currently in progress with the laying of a triangular slabbed concrete floor to the pyramid and a paved/concrete pathway leading to it. It is also planned that sometime in the near future the pyramid will also be clad to a major degree so as to make it more of an "all weather" construction thus enabling better access to it during times of inclement weather. People are welcome to avail themselves of the Pyramid Energy free of charge during their visit and many have already spent the night under it's form whilst even more have sat within and on the "healing table" meditating. In addition to the Pyramid, numerous requests have been received seeking the ability to purchase Crystals that can be 'ENERGISED' in the Pyramid of Hutt. In answer to these requests HRH Prince Leonard did cause an expedition to be mounted to venture into the mountains of India and the Himalayas to gather a large collection of specifically chosen crystals, some of which we have had cut and carved and then hand polished into beautiful solid pyramids of crystal. These Crystals have since arrived in the Principality and you can learn more of these by "clicking" the link below.